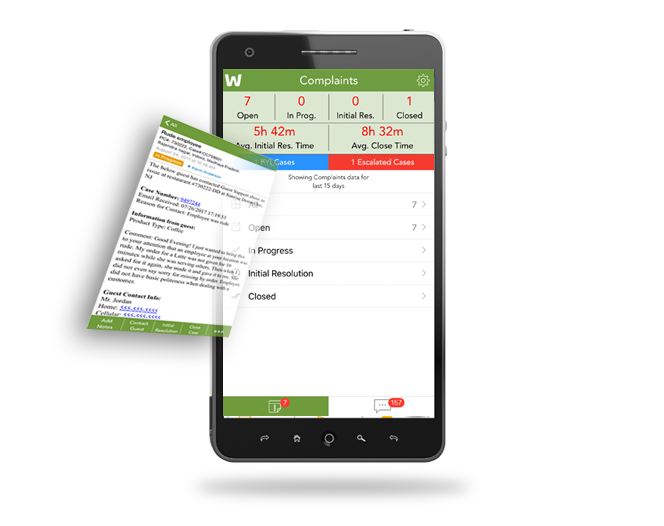 Find the cause and resolve complaints within minutes. Don’t comb through anymore emails, spreadsheets and text messages. 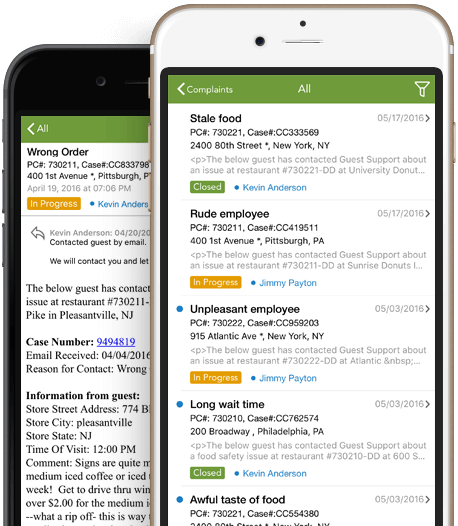 Install GiSMo and process your guest complaints through one portal. Avoid ironing out details with multiple locations for seamless guest-employee mediation. Delegate guest complaints to specific managers with notes. Track the manager’s process and the resolution. Side-step confusion on company policy and other details by observing guest happiness metrics and analyzing fluctuation in real time. 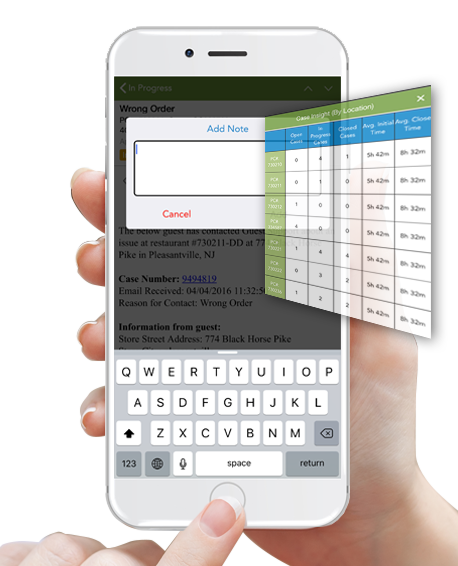 Easily access each scenario that needs your touch within minutes. Don’t waste the guest’s time, or yours, with comprehensive, franchise-wide customer service expectations. Take reputation management into your hands with understood, easily accessed processes. Base your process of hard data. 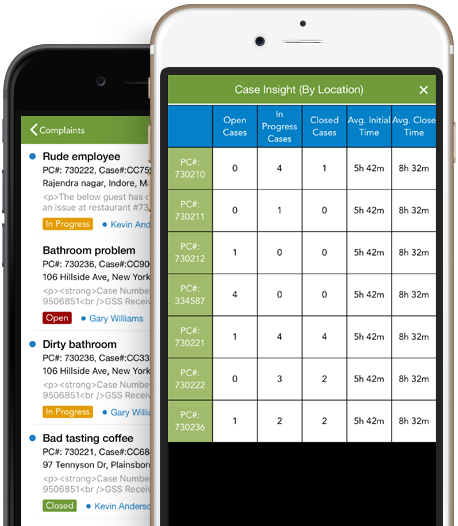 Use average resolution times, locations, and number of cases to determine problems within your employee culture faster and settle inter-franchise complications even faster. Observe the efficiency of GiSMo in action. 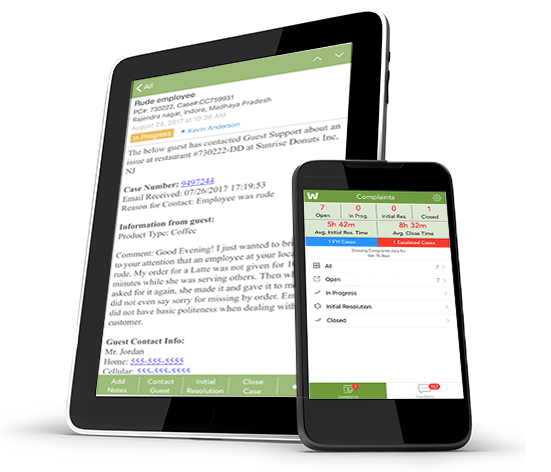 Watch our restaurant management software process data, organize and resolve guest complications in minutes.